The Panel Building NVQ 2356 Level 3 consists of seven units, 319 to 325 and each unit needs to be complete over three separate occasions. This unit is about: Assessing the workplace for hazards prior to, during and on completion of work on panel building. This unit is for: You if you are preparing to build a custom-built panel in the workplace. This unit is about: Ensuring that the conductor systems and equipment are suitable for the panel type and its specification, and planning a safe system of work. This unit is for: You if you build panels in the workplace. This unit is about: Following the correct procedures for building panels. This unit is for: You if you diagnose and correct faults in panels and take appropriate action. This unit is about: The safe identification and rectification of faults using safe and approved methods. This unit is for: You if you pass on technical or functional information relating to custom-built panels. This unit is for: A person carrying out activities at work-regardless of where that work might be. The scope of the Health and Safety at Work Act 1974 covers ‘all persons’ whether employers, employees, self-employed, contractors, etc. Amongst other things the Act seeks do is to secure the health, safety and welfare of people whilst they work and protect other people against risks to health or safety arising from the activity of people at work. This unit does not require the learner to undertake a full risk assessment, it is about having an appreciation of significant risks in the workplace and knowing how to identify them and deal with them. Employers must safeguard so far as is reasonably practicable, the health, safety and welfare at work of all the people who work for them and `other persons’. This applies in particular to the provision and maintenance of safe plant and systems of work, and covers all machinery, equipment and substances used. People at work also have a duty under the Act to take reasonable care to avoid harm to themselves or to others by their working practices, and to co-operate with employers and others in meeting statutory requirements. The Act also requires employees not to interfere with or misuse anything provided to protect their health, safety or welfare in compliance with the Act. This is what you need to show: That you understand the health and safety requirements in the workplace, and that you check your own work activities and work area for any hazards which may harm you or others. You should be able to identify those risks you can safely deal with yourself, and those which you must report to the responsible’ person for attention. 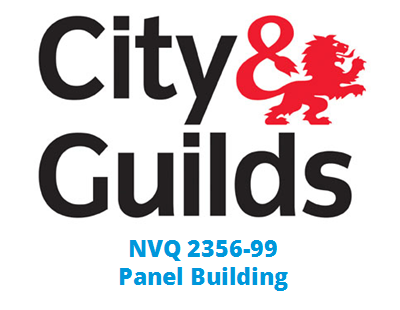 Start Your NVQ 2356 Level 3 in Panel Building NOW!